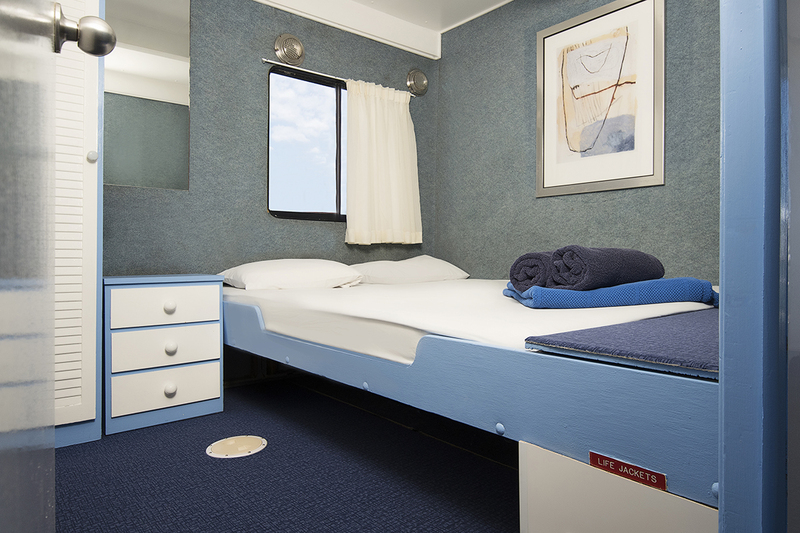 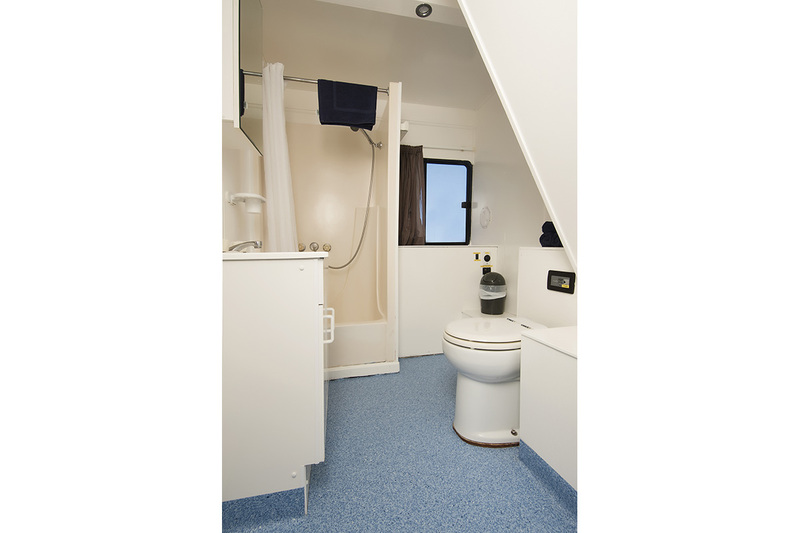 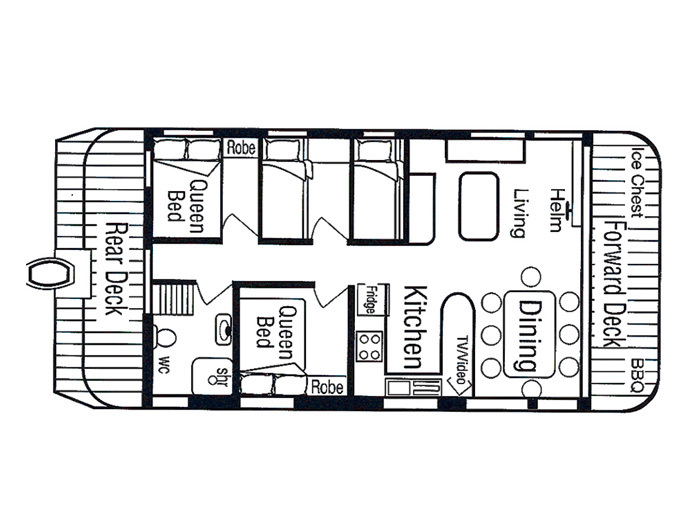 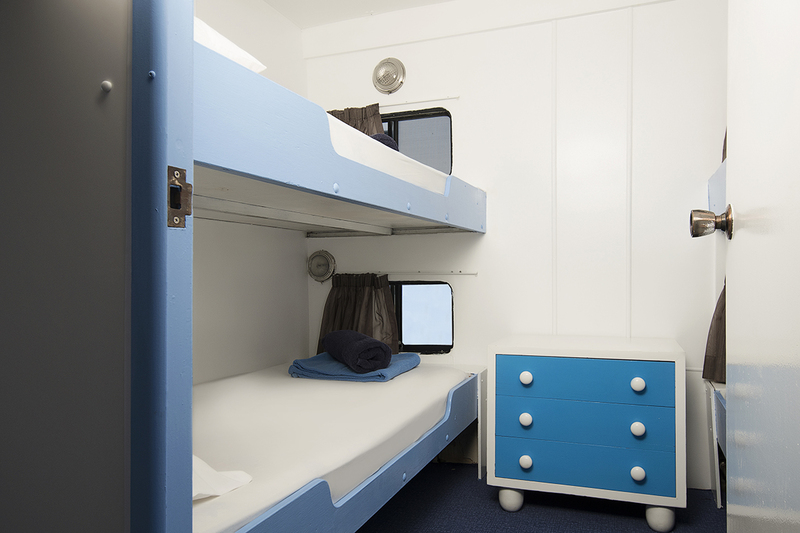 This 8 – 10 berth has got plenty of space with two Queen Bedrooms and one room with Four Bunks, which allows for more space in the living areas, so plenty of room to entertain. 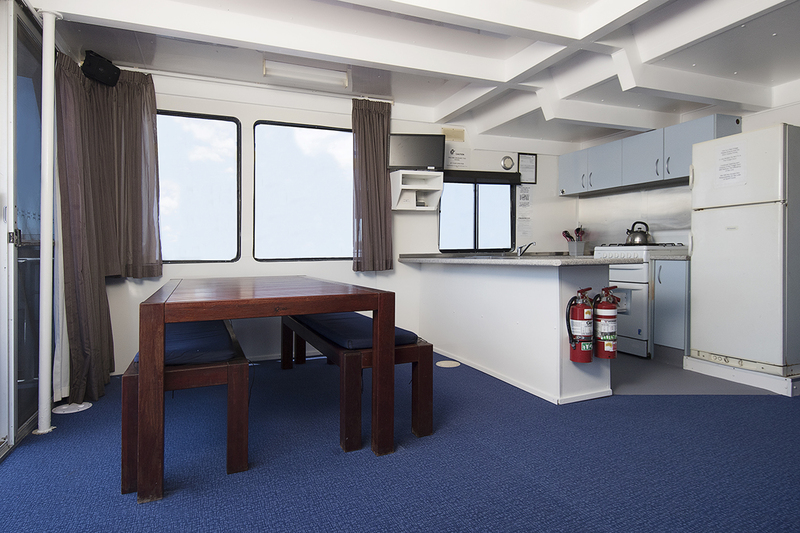 There is a large 4 burner BBQ which accommodates to cook for up to 10 people. 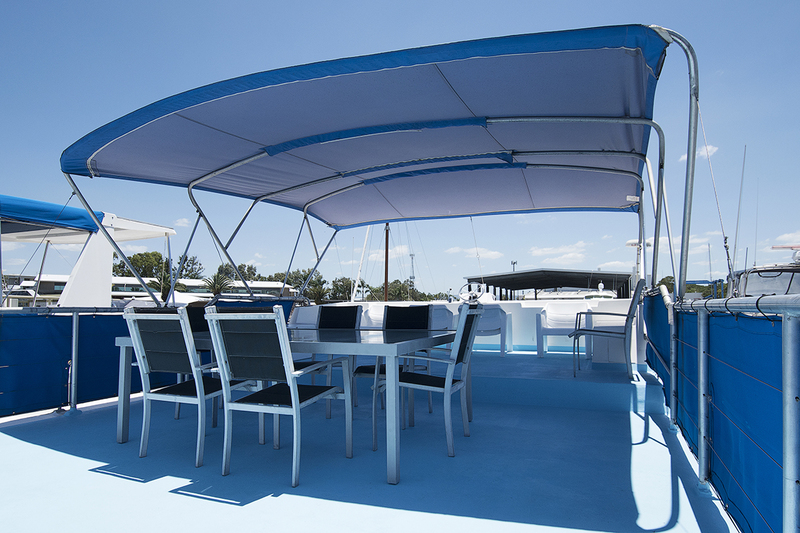 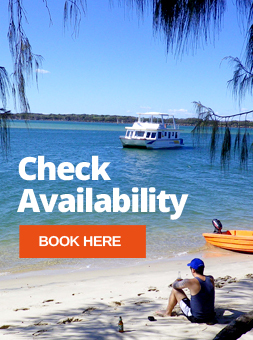 Large upper deck with all furniture provided for a lazy afternoon on a sun bed or spacious enough to dine al fresco under a large shady Bimini Top with fantastic 360 views of the Broadwater. 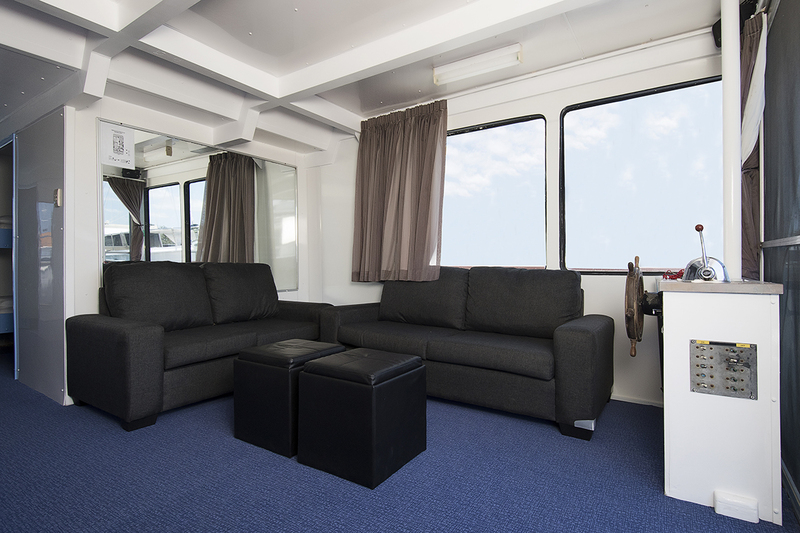 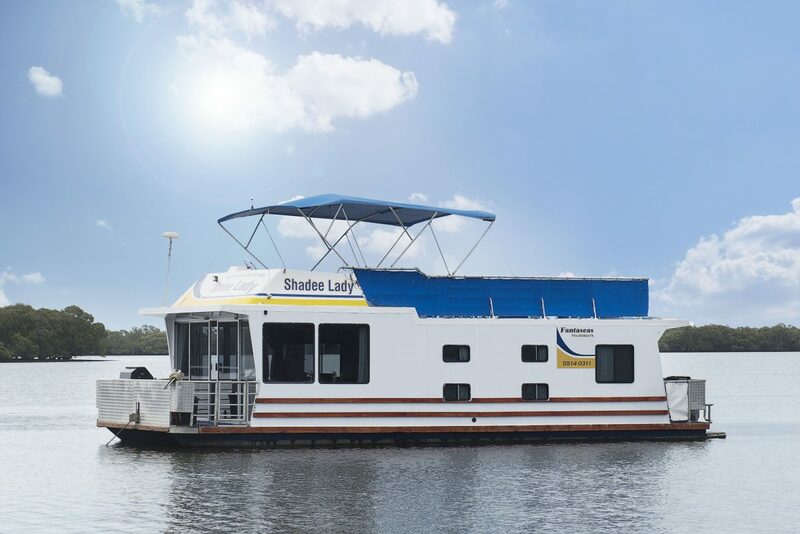 Shadee Lady has all the mod cons you would expect for a 10 berth and easily accommodates two family’s or a group of friends.